With magnificent mountainous landscapes, beautiful beaches, and fascinating historical landmarks, you’re bound to find something for you in Wales. Whilst the capital, Cardiff, is a must-see, don’t miss out on the country’s mountain ranges and parks for a truly unforgettable experience. Cardiff, in the South, has a whole host of museums, galleries, and shops for you to enjoy during the day. Alongside popular chains, you’ll find independent outlets in the city’s Victorian shopping arcades and regular farmers’ markets. If you’re interested in welsh history, head to Senedd, the main building of the National Assembly of Wales. Since Cardiff is a university city, there’s also plenty to do once the shops close. Spend an evening in one of the city’s many bars and clubs for a cheap pint, or to the Millennium Centre for live music. The most popular mountain range in Wales is Snowdonia in the Northwest. It is named after the highest mountain in the range, Snowdon, which has a peak of 1,085 meters. 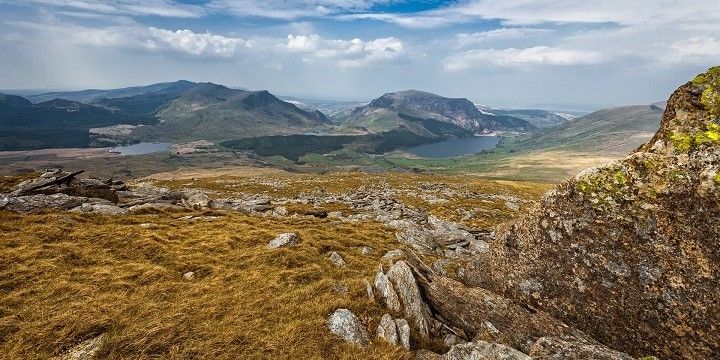 The range is located inside Snowdonia National Park, which spans over 2,000 square kilometers, and is home to a number of great hiking routes. If you get tired, fear not: you can always use the Snowdon Mountain Railway to reach Snowdon’s peak! Snowdonia National Park spans more than 2,000 square kilometers. The Brecon Beacons in southern Wales are equally as beautiful. Hike to the 886-meter-high peak via the Beacons Way, or use the Brecon Mountain Railway (an old fashioned steam train) to take you to Torpantau Station, which lies at 400 meters above sea level. Wales is home to a huge array of beautiful castles and fascinating historical landmarks. Caernarfon Castle in northern Wales, for example, is a UNESCO World Heritage Site. Once used by the first English Prince of Wales in the 1200s, this castle is now famous for its polygonal towers, murder holes, and grand gates. Another must-see is St. David’s, the final resting place of St. David, who is the patron saint of Wales. In terms of population (less than 2,000) and size, this is the smallest city in the UK! Also, be sure to check out the walled market town of Conwy, on the north coast, which is home to an incredible 13th century castle, with its own watchtower. It also has the smallest house in the UK (3.05m x 1.8m), which was built in the 16th century and inhabited until the early 1900s, when the owner was forced to move out for safety reasons, as he couldn’t stand up properly. With 250 kilometers of coastline in Wales, there are plenty of beaches to choose from. Some of the most beautiful ones are located in the Pembrokeshire Coast National Park in the Southwest. At 612 square kilometers, this is Britain’s only coastal national park. The park’s beaches are characterized by their limestone cliffs and golden sands, with hilly areas and volcanic headlands in the northern section. Pembrokeshire is located along Wales' coastline. Barry Island, meanwhile, is located just south of Cardiff. The small island is accessible via a pier and is famous for its amusement park, Barry Island Pleasure Park, which was built in 1929. Its location in Whitmore Bay makes Barry Island a great spot for water sports like kayaking, windsurfing, and beach volleyball. 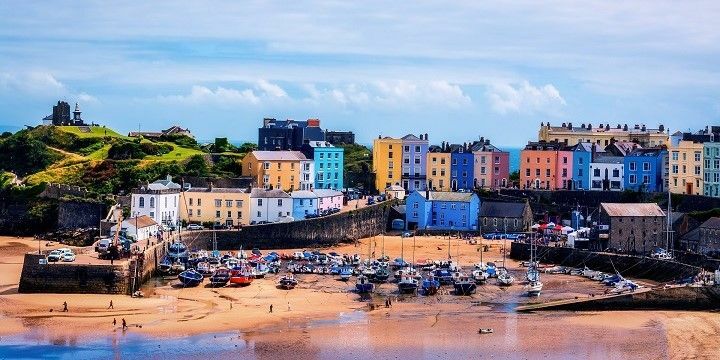 If NextStop24 helped you to choose your next travel destination, we'd be very grateful if you’d search for your accommodation and things to do in Wales through these links. They're affiliate links, which means that we will receive a small commission for every booking made through them. There are no extra costs for you; you'll simply be helping to keep NextStop24 running. Thanks! Snowdonia has some of the best hiking opportunities in the UK, but expect the unexpected when it comes to weather and pack lots of waterproofs!